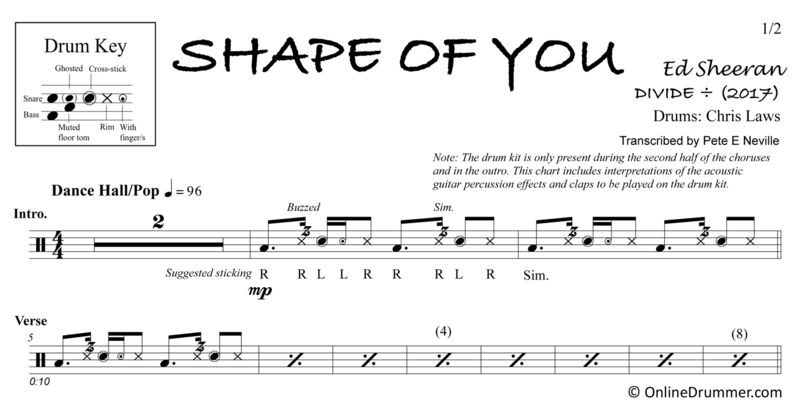 The full drum sheet music for “Shape of You” by Ed Sheeran from the album Divide (2017). 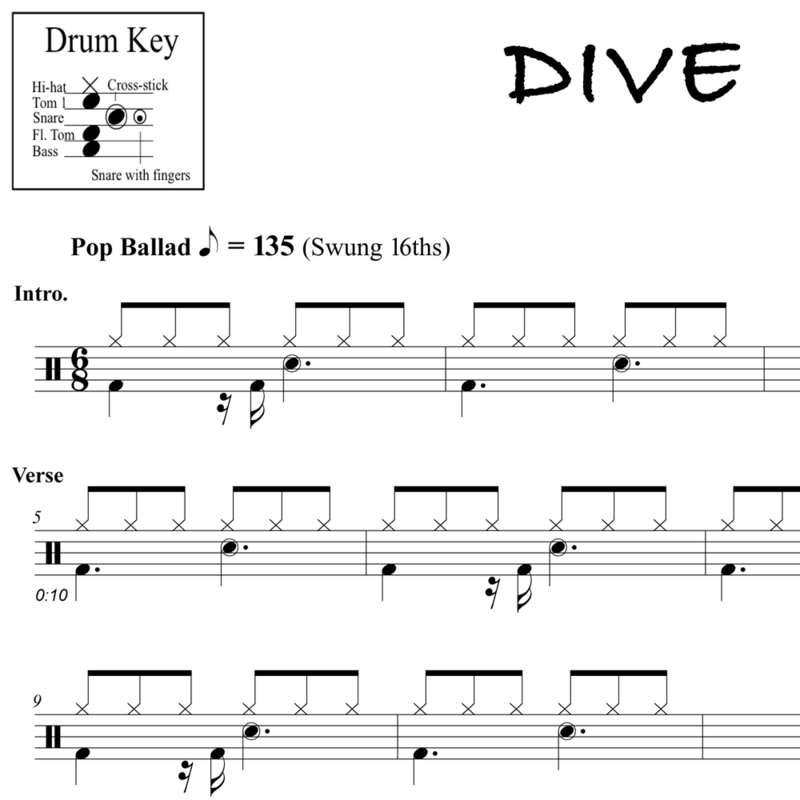 Many of the percussive rhythms heard in this song are created with percussive guitar techniques, which is a creative way of describing hand drumming played on the guitar itself. 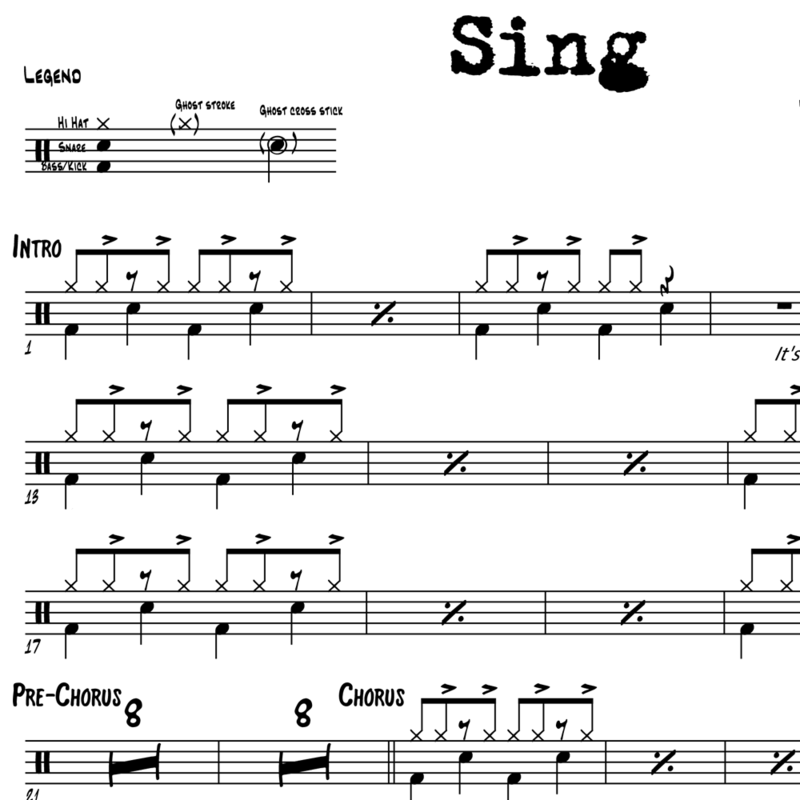 We’ve notated the percussive guitar rhythms so that they can be reproduced on your drum kit, as these rhythmic elements are important to achieve the feel of the song. An uncommon (but fun-to-play) stroke we’ve added is a finger stroke on the “e” of beat 2. 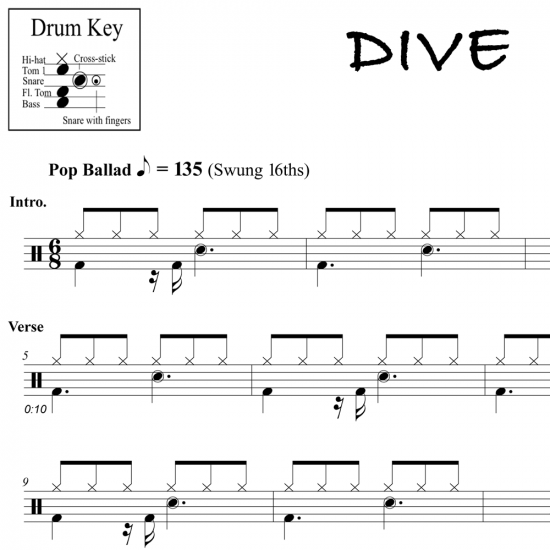 The left stick remains in a cross-stick position, so your fingers will already be resting on the drum head. Simply tap the head with your fingers to fill out the sixteenth feel. 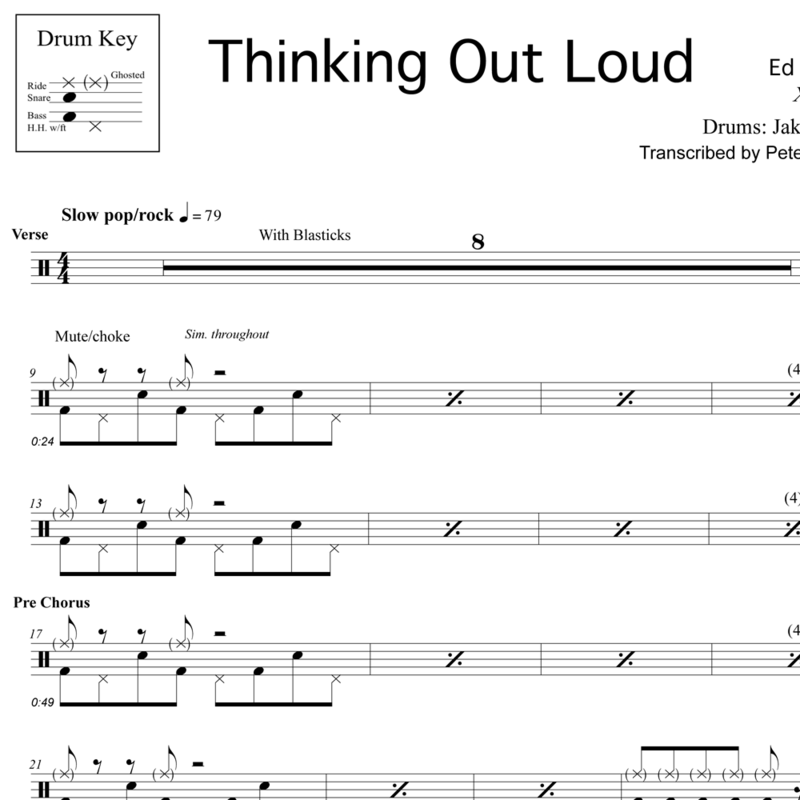 You can find the finger stroke notation referenced in the drum key. 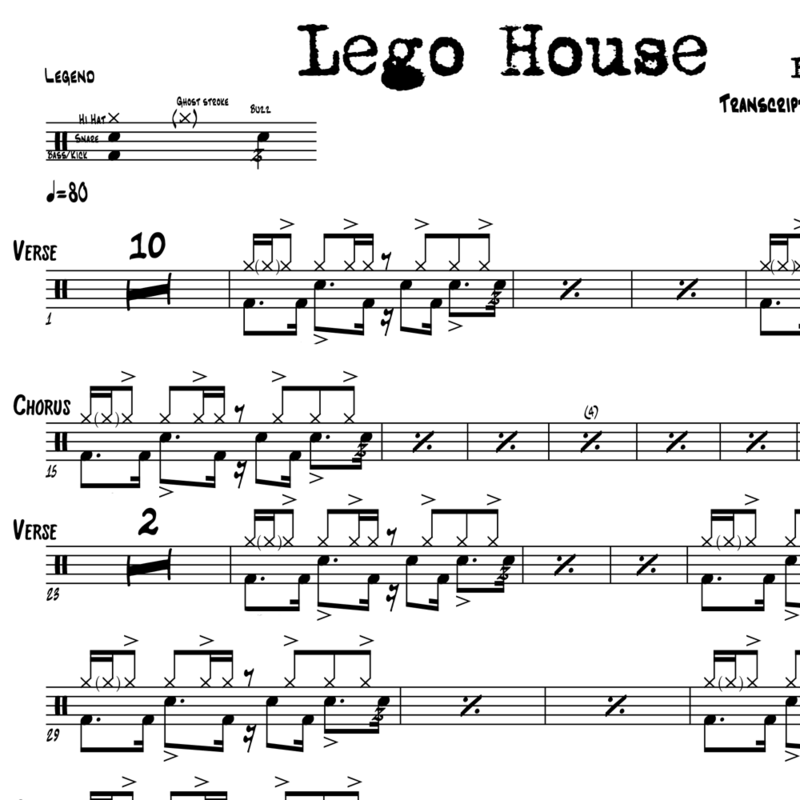 The actual drum set part, as heard on the record, is played during the second half of the choruses and in the outro of the song. 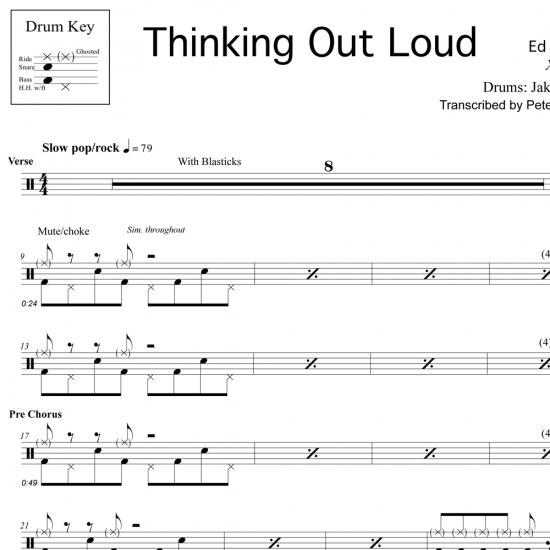 We’ve notated these parts in the sheet music, as well. 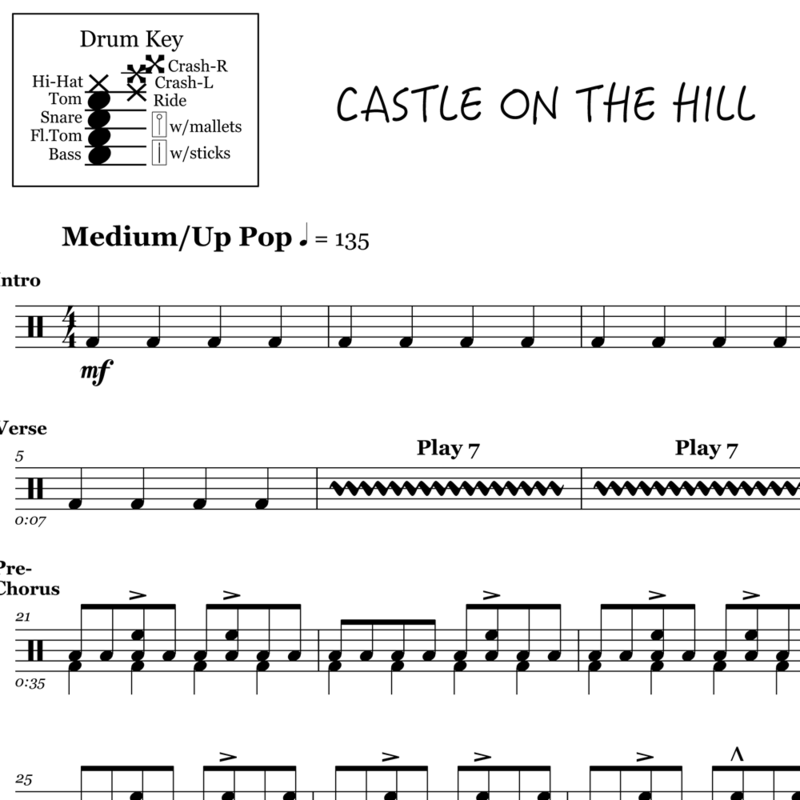 The full drum sheet music for "Castle on the Hill" by Ed Sheeran from the album Divide (2017).